Situated at Madrigal Avenue corner Commerce Avenue, Alabang, is Molito Lifestyle Mall with a number of restaurants offering international and local casual dining option. Just Thai is tucked in a quiet mid-space of building 2 fronting the fountains. If you're in the mood to try out the fresh flavors of Thailand, Just Thai has many different Thai flavor offerings in its appetizers, entrees and soups for a wonderful meal. The restaurant provides a wide variety of chicken, beef, pork and seafood specialties from all around Thailand. Complimentary plate of peanuts were served to perk up our appetite as we wait for our dishes. Beef Noodle Soup was packed with tender beef and fresh vegetables. The Thai Beef Salad was refreshingly good! Tasty crunch in every bite! SATAY These delicious chicken skewers are packed full of flavor! The perfectly marinated grilled chicken fillets are paired with a peanut sauce for dipping. 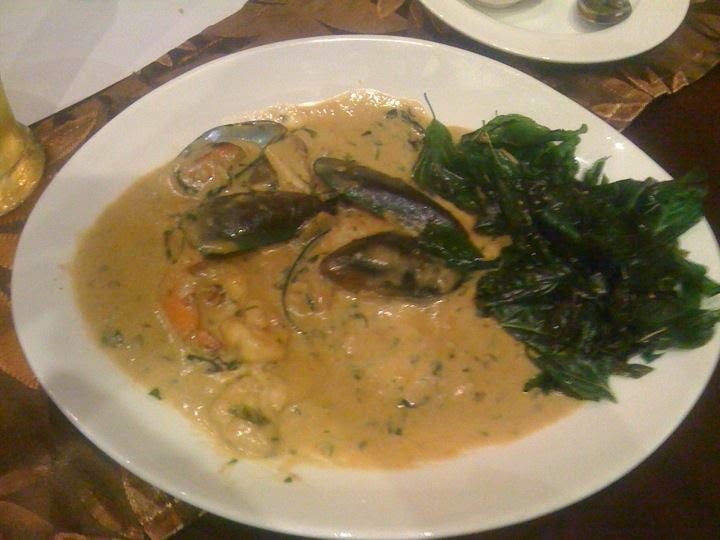 Seafood with Basil has mussels, prawns and squid that is good as a spicy comforter! This is one spicy dish that gets a flavor boost from basil that I really like. 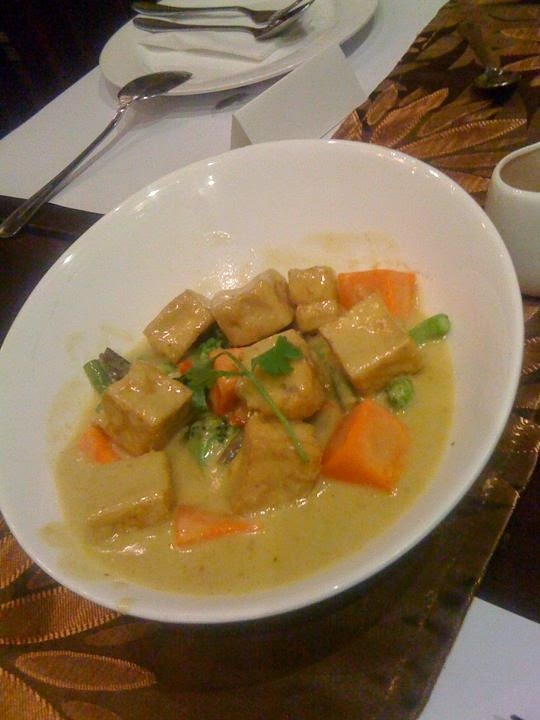 Vegetable Tofu in Yellow Curry is fried tofu cubes in curry powder and turmeric (which gives it its yellow color). It gives a fresh flavor and tastes milder than green curry. The Chicken and Cashew dish is another take on stir-fry that I love! The intensely savoury Tom Yum tastes heavenly! 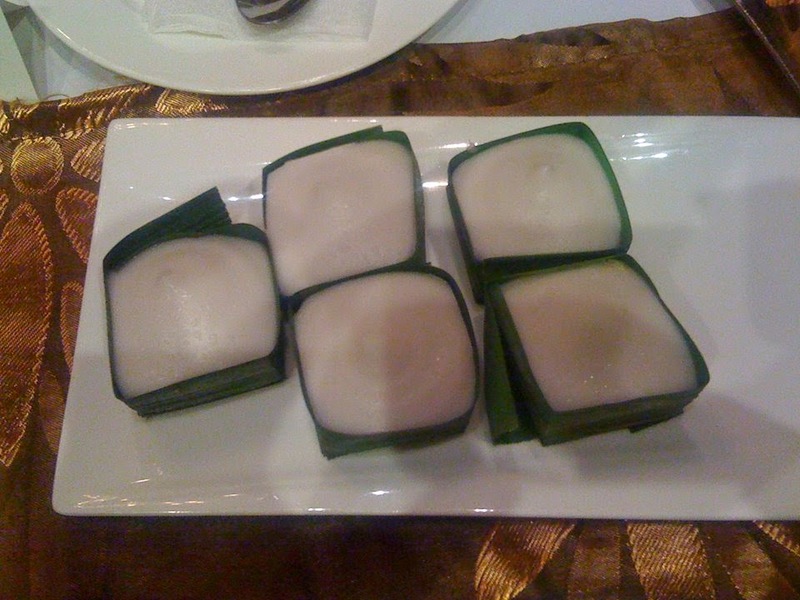 We were served Pudding and Sticky Rice for dessert. For drinks, they serve Thai Iced Tea, Tamarind, and Lemon Grass. 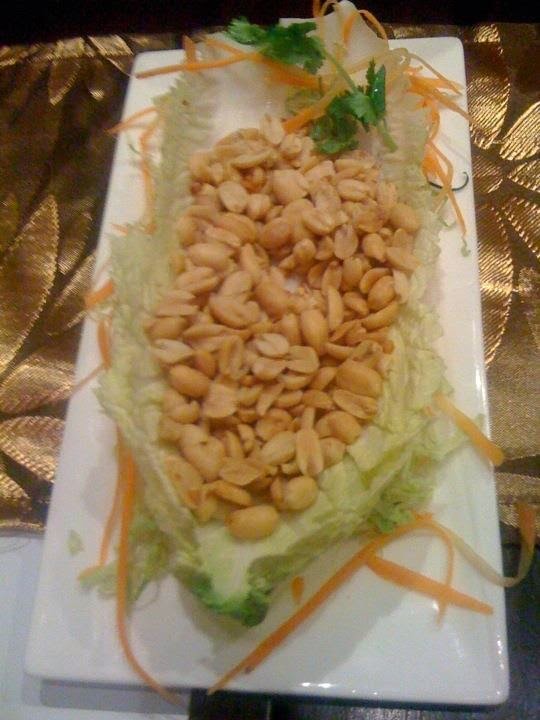 It offers very satisfying food that hits the spot if you want a great Thai option to indulge in. Just Thai’s portions are quite large, enough for two meals. Just Thai’s enthusiastic staff is quick to explain what the food choices are all about. The menu has all the usual Thai items so they have all their bases covered. The restaurant’s ambience and decor match brand. Just Thai is really one of those places you can go everyday for lunch or dinner to get your Thai food fix.